Curated Library of WordPress Hostings. Cloudways Managed Cloud Platform, with 150+ features and 24x7x365 Support, provides users the ease of hosting web applications on top infrastructures. Arvixe offers a wide range of quality web hosting solutions including Linux hosting, Windows web hosting, managed dedicated servers and e-commerce web hosting. A2Hosting is one of the leaders in optimized hosting for any need. WP Engine provides managed WordPress hosting for mission-critical sites around the world. 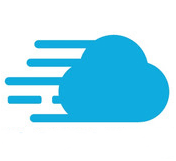 DreamHost is one of the leaders in shared web hosting, vps hosting, dedicated hosting, WordPress hosting, cloud storage and cloud computing. Hostgator is a leading provider of web hosting, VPS and dedicated servers. One of the leading hosting providers. Managed WordPress hosting, powered by Google Cloud and LXD orchestrated Linux containers. A Canadian-based privately owned web hosting company that provides shared, reseller, and virtual private server hosting. Liquid Web is a leader in Managed Hosting solutions for mission-critical sites & apps.